Do we offer FREE Training? 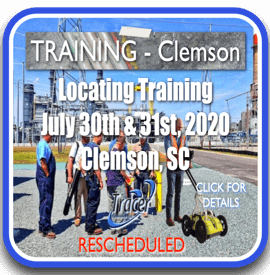 Yes we provide FREE training with every line locator, GPR cart, leak detector and inspection camera purchase within the American states of AL, FL, GA, KY, NC, SC, TN. We will also provide FREE follow up refresher training if requested. Do we offer Product Presentations? Yes we can visit your job site and allow your group to experience hands-on all our products. We can also provide class room type group discussions including product overview and line locating & plastic pipe locating. Group speaking can include anything from "Locating 101", "In-depth secondary Fault Locating", "Utility GPS Mapping w/Locator", "Leak Detection 101", etc. Product presentations can be perfect for company safety meetings, 811 meetings, NACE meetings or for various worker education requirements. Do we offer Training Certificates? 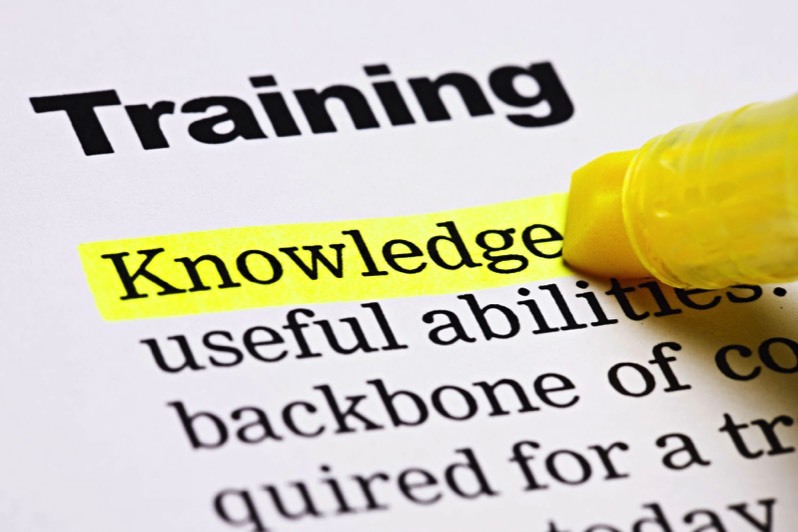 We can provide a "Certificate of Training" if users can complete an instructor test following product training. The Certificate will be product specific and can be used for your continuing education purposes. Nulca accredited training for GPR is offered throughout the year. Do we offer GPR Training/Seminars? We do offer periodic seminars throughout the American Southeast which usually require 1 to 2 days and are held at area Hotel properties. These seminars would include a factory instructor from Sensors & Software and a Tracer Electronics specialist. Day 1 will consist of intense GPR training and theory of underground utility locating and extensive hands-on field use and GPR cart training. The first day is essential for all GPR users and ideal for utility locating. The second day is focused on how to set up grids, collect data and perform successful underground utility analysis and is perfect for subsurface engineering personal. These seminars are perfect for any professionals working in the sub-surface utility engineering fields, utility owners, utility locators and utility contractors and can be essential for any person using a GPR cart. These seminars require registration and pre-payment to attend and are posted on this website as they are scheduled. Please see below for upcoming or recent events. From time to time courses will be held at various locations throughout the American southeast as well as our office location in Lebanon, TN. If interested in attending an upcoming course, please contact your local sales manager. Tracer Electronics LLC and Sensors & Software Inc. are presenting a certified (Nulca-accredited) course on GPR for Locating Utilities. This full day training course meets the Nulca training standards to ensure that the user demonstrates knowledge, skill and understanding in applying GPR safely and professionally to locate utilities. FINAL UPDATE: We thank everyone who participated and helped make this class a success. UPDATE: This class is100% full. However, if you would like to be added to the waiting list or would like to be included in the next class (date & location not announced yet), please go ahead and submit a completed REGISTRATION form for the 8/16/18 class and we will move you to the top of the list for our next GPR Training class.